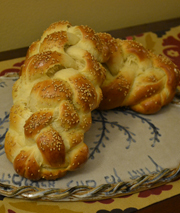 First of all, I want to thank all of you that have kept The Challah Blog in your readers over it's somewhat lengthy hiatus these past few months. As I've alluded to a few times, we have had some very emotional times with the extended illness and hospice-care of a beloved family member. 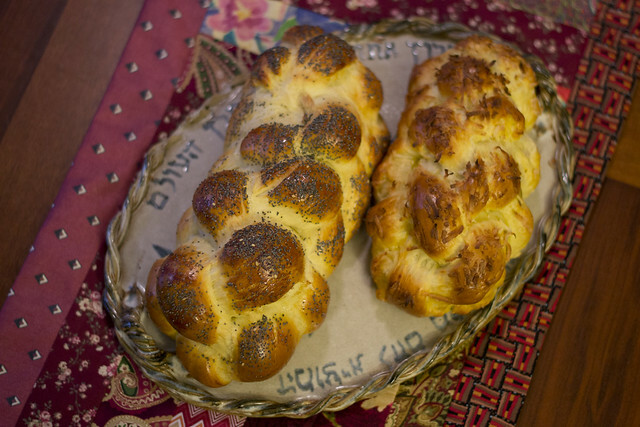 That, coupled with returning to school to begin my PhD studies, has created a bit of a void in creativity for baking and a need for basic, safe, and utterly delicious "plain" challah (challah is never really plain, is it?). However, we're slowly getting back to creative recipes and lots of fun times. I hope you'll all have us back again. We're glad to be here. 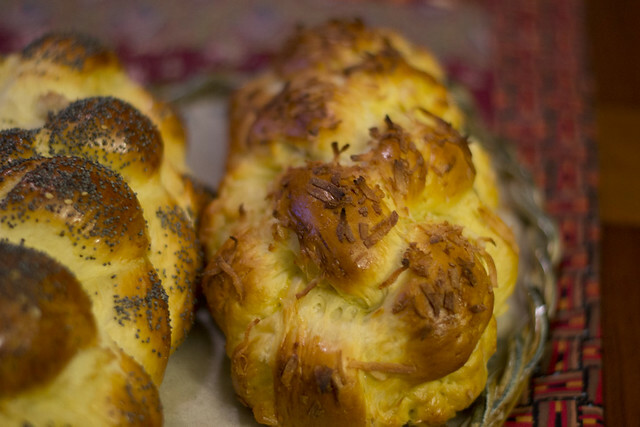 This week's recipe has been in our queue for quite some time. A friend of ours who teaches, mom of four, and teacher in the religious school at our synagogue suggested it to us many, many months ago. And, Yael, you were right! It was great! 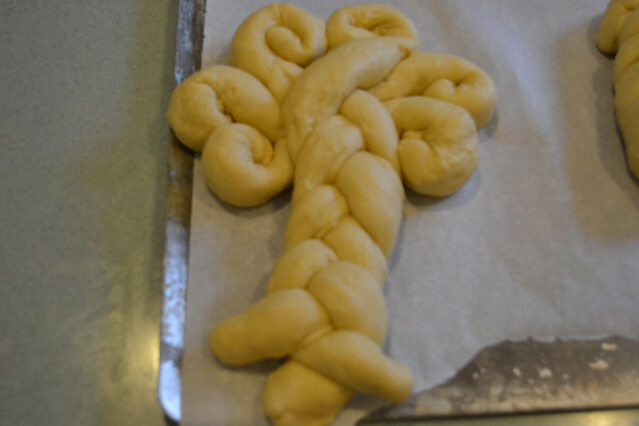 I admit, I was definitely a little skeptical at first, because I was worried that this challah would be a bit too sweet. Another friend pointed out that sweetened pineapple wasn't terrible different from adding raisins (shudder!) 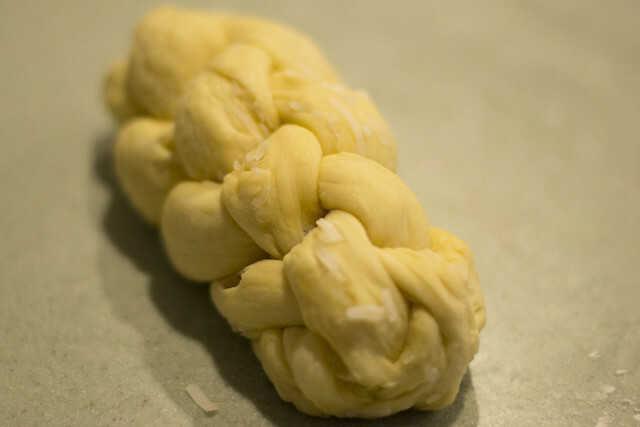 to dough... just an added sweetness, this time with a bit of tang. 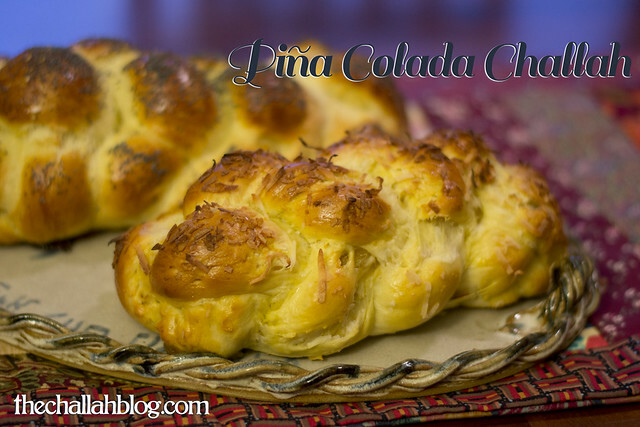 I think this recipe might also benefit from a splash of rum to make it truly Piña Colada-flavored. 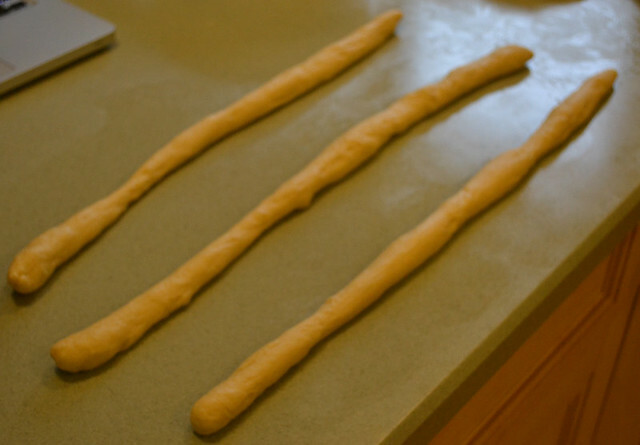 However, I've never introduced alcohol into bread, so I'm not sure where else you'd need to adjust proportions. 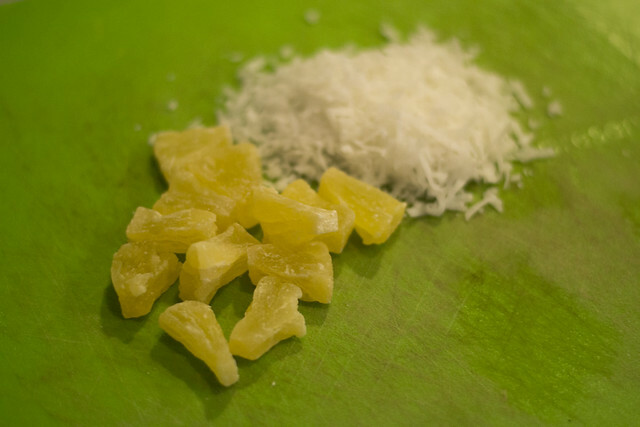 Chop your pineapple into small pieces with a large, sharp knife. 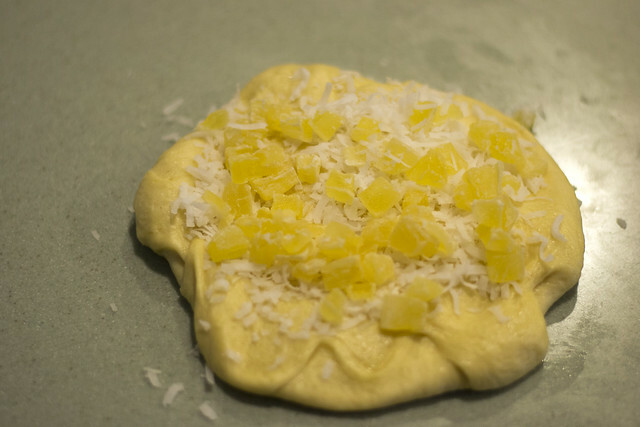 After your dough is risen and ready to be braided, plop the pineapple and 1/4 c coconut on your dough and knead by hand. 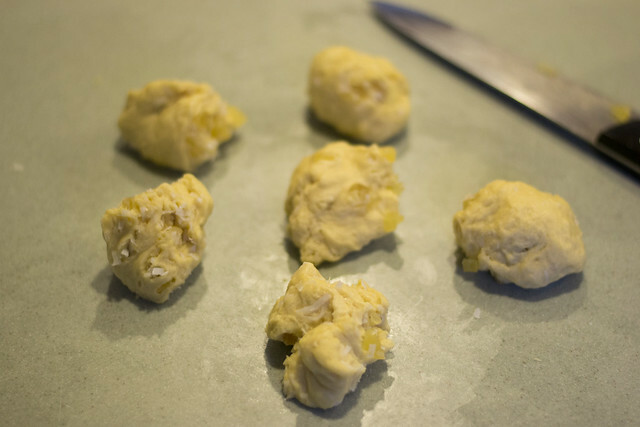 Have extra flour on hand in case its sticky (it will be). 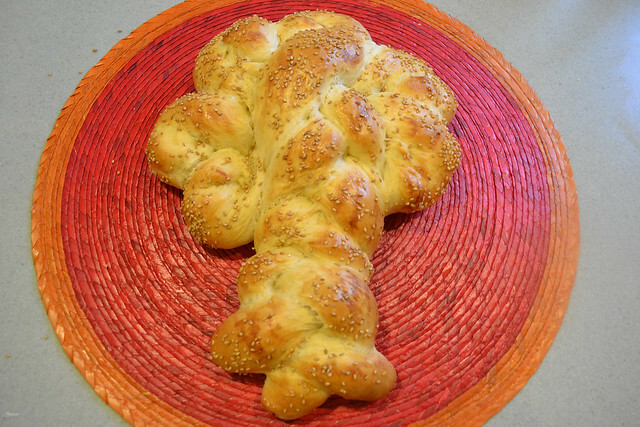 Enjoy with your tropical self, and be proud of a very unique challah. 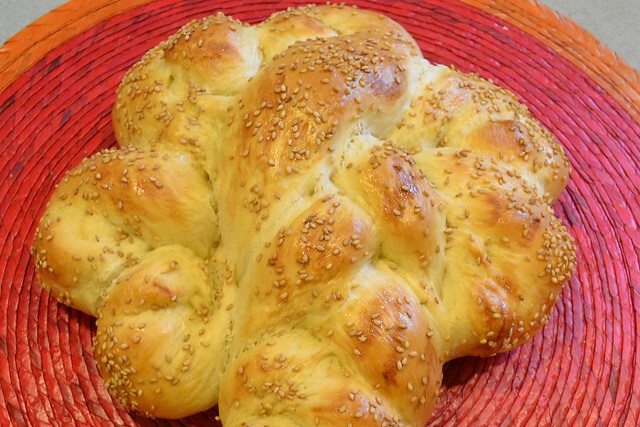 In this coooold winter weather up her in Wisconsin, this challah reminds me of summer!